Mars’s atmosphere is about 100 times thinner than our home planet’s. Find out one theory about why it’s so thin. 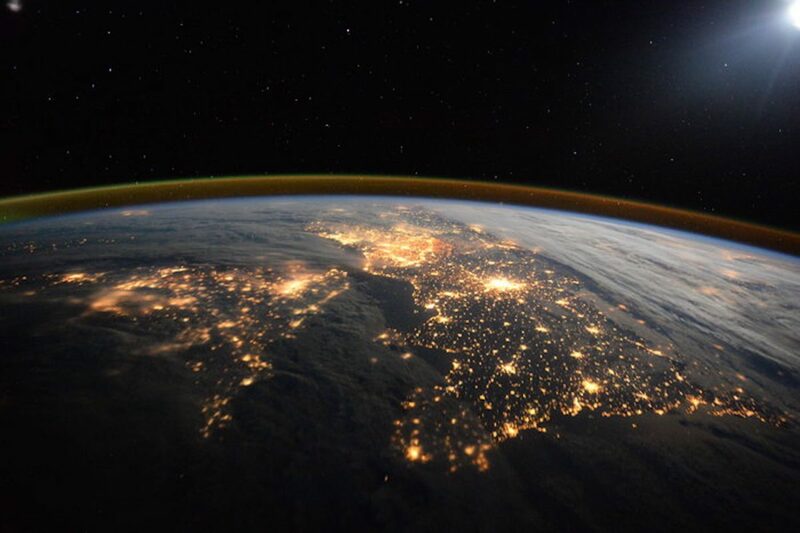 This image was taken by Tim Peake from the ISS. It shows how thin Earth’s precious atmosphere is. A planet’s atmosphere determines much of what happens on its surface. Among many other things, Earth’s atmosphere protects us from much of the sun’s harmful radiation, provides us with oxygen to breathe and burns up any space junk or meteorites before they hit Earth. Without our precious atmosphere, life on Earth wouldn’t be possible. Use Activity 5.4 Protect Your City to plan how you would protect your Mars colony from harmful radiation.